If your product or service targets customers in a local area, sending them direct mail postcards is a great way to get their attention. Similar to Every Door Direct Mail (EDDM), Local Mail is an incredibly easy way to market locally in the US. Simply create a design and choose which postal delivery routes you want to target. We'll then print and hand over your mailers to USPS to deliver in your chosen zip codes and delivery routes. 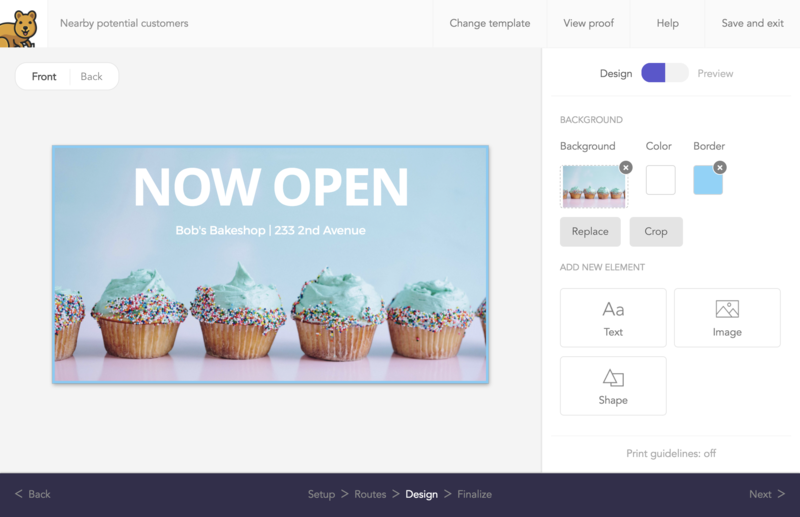 Our simple to use design editor helps you easily create custom postcard designs. We offer a wide range of customizable templates to get you started. If you already have a pre-made design, you can easily upload that too. No mailing list required! Instead, select zip codes or postal routes you want to target. We even provide demographic data on each route to help you narrow your targeting. Whichever routes you choose, we'll send your postcards to every business and/or residence on it. Skip the headache of visiting the post office. When your campaign is complete, simply checkout. Within 6-10 business days your campaign will reach recipients. You can track its progress through Mailjoy. If you're a local business and your ideal customers are nearby, it's a way to announce promotions and let them know who you are. If you're hosting an event and you're targeting a more general audience, send postcards to promote it to people nearby. If your product is in multiple markets and you're launching in a new one, send postcards to drive awareness. 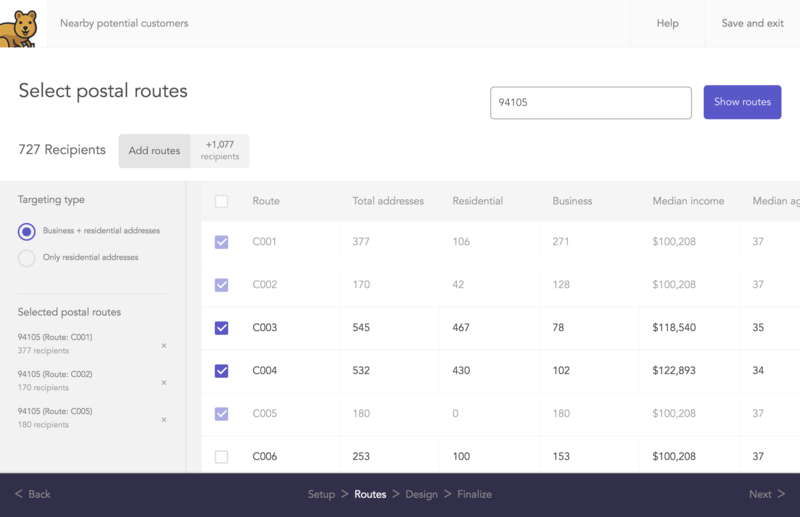 If your product targets certain demographics, use Local Mail's route data to help you find postal delivery routes with your ideal customers. Send local mail campaigns with as little as 500 recipients. This can be from routes in multiple zip codes across the country. Your campaign is shipped within days of placing it. Mailers will reach your recipients’ mailbox in 6-8 business days. We only print high quality, full color postcards. You have full design control over the front and back. Local mail is only available in 11” x 6”. 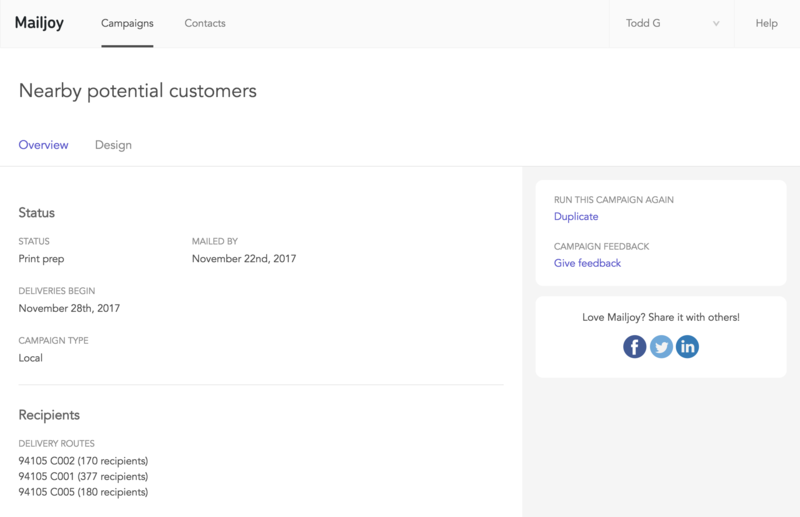 We provide a central dashboard for you to view and manage all mail campaigns you create through Mailjoy. What's different compared to targeted mail? 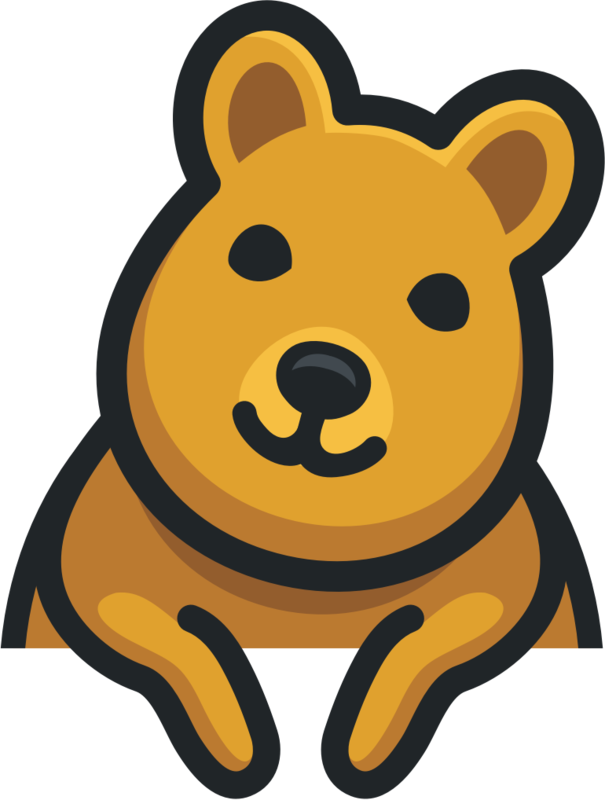 Local mail is a special campaign type in Mailjoy that's used to mail whole areas or specific postal routes -- no mailing list required. However, unlike targeted mail, local mail does not offer personalization or tracking. No mystery pricing that requires a quote. No design fees. No list cleanup fees. No setup fees. We just charge a simple flat rate per mailer that includes everything. Our self-service design editor and route selection tool make sending mail campaigns as easy as email. How does pricing compare to targeted mail? Unlike targeted mail that has no minimums, Local Mail has a 500 postcard minimum. However, per mailer pricing is far better for local mail over targeted mail even at modest volume. What postcard sizes are available? Local mail only comes in huge 11" x 6" postcards. They're full color, double sized, and have a UV coated front. They will stand out in any mailbox!